Brand: Nordicware NW-58448 Units: 1 This pan makes beautiful individual serving pineapple upside down cakes. Heavy cast aluminum bakeware provides superior baking performance. Baked goods rise evenly, cook uniformly, are finely detailed and have delicious golden crusts because of the excellent conduction of these heavy walled pans. The special heat reflective exterior and premium non-stick surface assures perfect stick-free results. Platinum bakeware comes with a limited lifetime warranty. Pan provides six 3/4 cup cavities. This pan makes beautiful individual serving pineapple upside down cakes. Heavy cast aluminum bakeware provides superior baking performance. 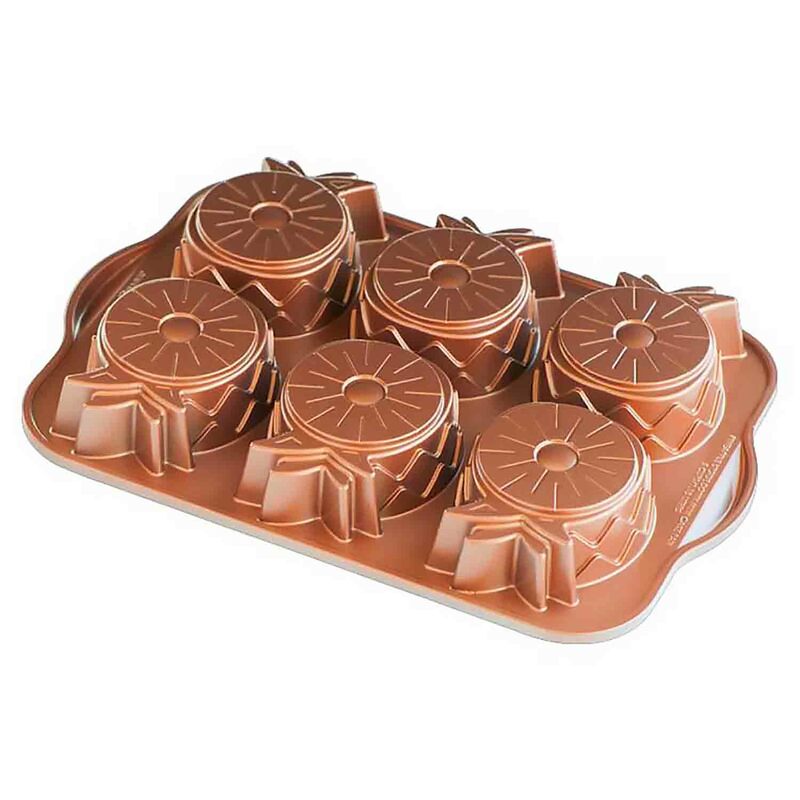 Baked goods rise evenly, cook uniformly, are finely detailed and have delicious golden crusts because of the excellent conduction of these heavy walled pans. The special heat reflective exterior and premium non-stick surface assures perfect stick-free results. Platinum bakeware comes with a limited lifetime warranty. Pan provides six 3/4 cup cavities.